Burt Watson is a boxing and Mixed Martial Arts (MMA) legend. On February 1 – the first day of Cancer Prevention Month – he also announced for the first time that he’s a prostate cancer survivor. This month he’s joining forces with ZERO to raise awareness and funds and to spread the message of early detection and the need to get tested, particularly in the African-American community. Diagnosed last year at the age of 68, Burt is just now sharing his journey and celebrating his survivorship with the public. This number one MMA “Hype Man” initially didn’t want to worry his family, friends, and MMA colleagues. Now that he’s made his diagnosis public, he is on a personal crusade to help ZERO end the disease once and for all. Check out a video and read more of Burt’s story. Did you know that only 33% of black men 50 or older have had the PSA test? As black men are more likely to be diagnosed with – and die from, prostate cancer, this is an especially troubling statistic. Men like Burt Watson and other ZERO advocates are working to change that. This Black History Month, we’re joining forces with our advocates to eduate more men and raise vital awareness in the community. 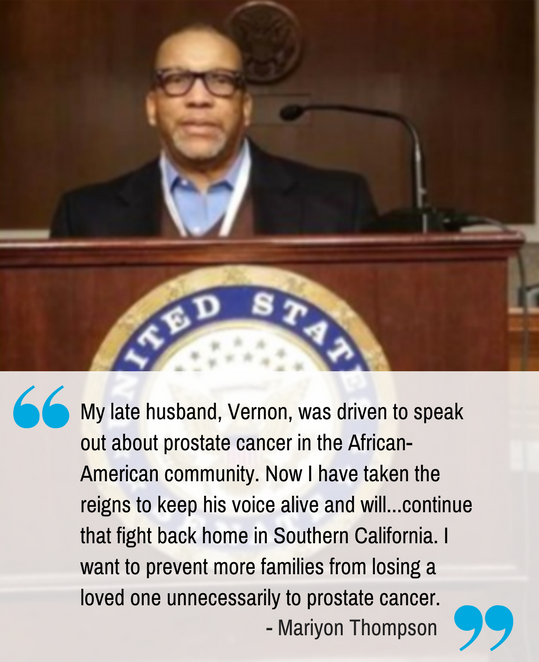 Each day, 12 black men die from prostate cancer. Together, we can make a much-needed impact on behalf of these men – and all who are diagnosed – and their families. Learn more about prostate cancer in the African-American community here. In just a few short weeks, more than 120 passionate patients, survivors, and loved ones will descend on Washington, D.C. for the ZERO Prostate Cancer Summit to protect and increase prostate cancer research funding. 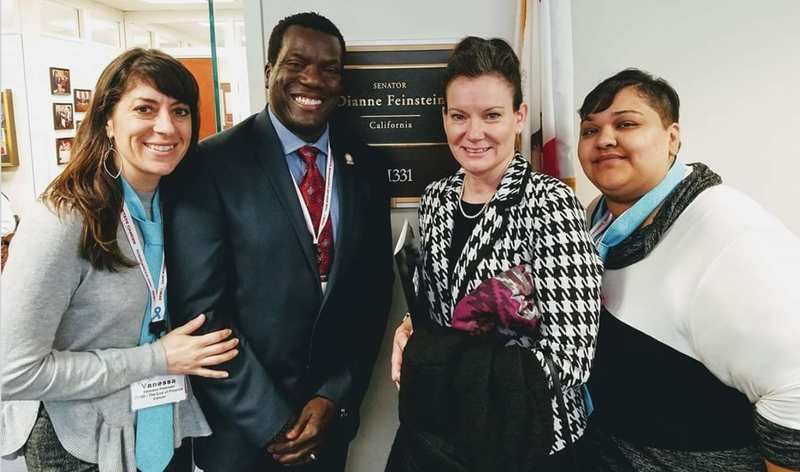 In more than 150 meetings with members of Congress, we’ll continue the fight to increase $90M in research funding that has resulted in critical new treatments and diagnostics. We are so grateful to our amazing champions and can’t wait to see everyone in D.C.! Beer, Bocce, and Prostate Cancer Awareness! 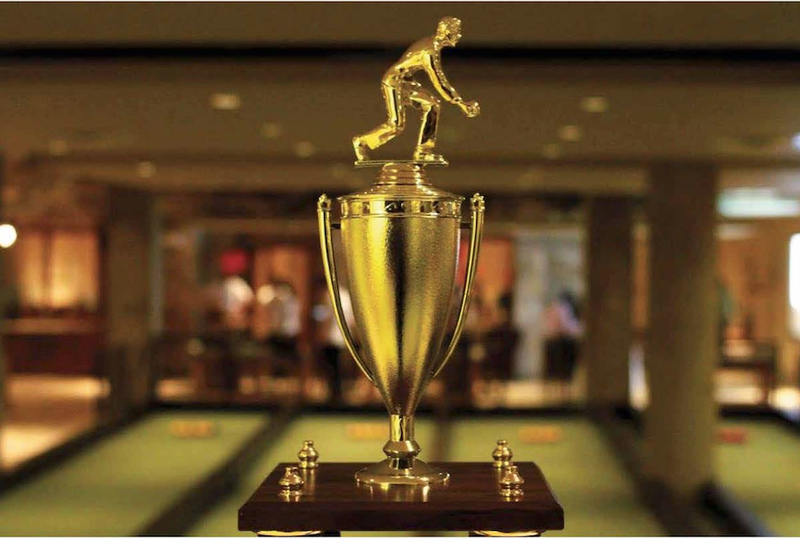 On February 17, Pinstripes will host the third annual Brewers Bocce Tournament in five cities across the country! They’re taking their rivalries to the bocce court with all procceeds benefitting ZERO. We hope to see you in Washington, D.C., North Bethesda, Minneapolis, Chicago, and Kansas City. 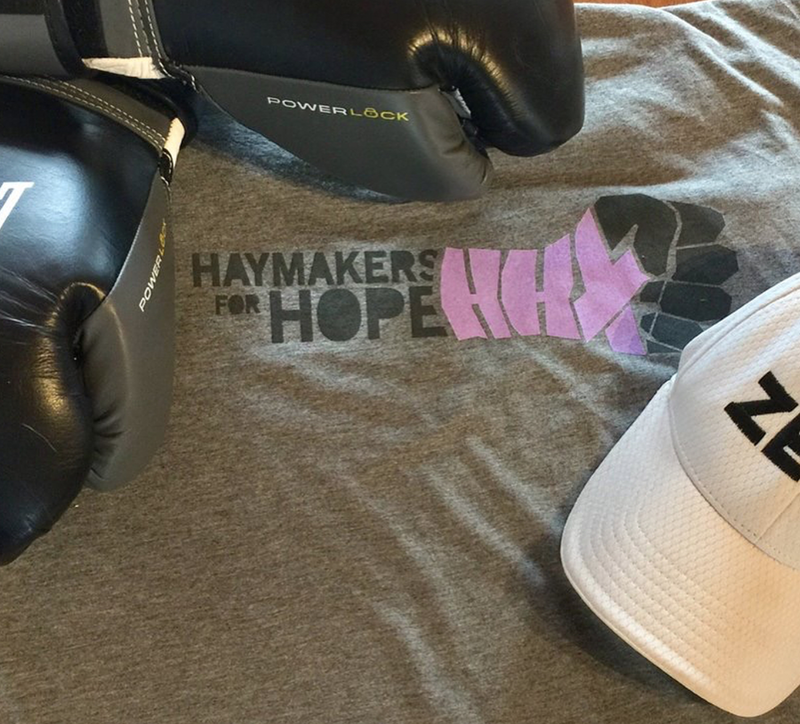 A few weeks ago, CEO Jamie Bearse began training for an amateur boxing match in partnership with Haymakers for Hope in Boston. This month, he reflects on this journey and what fighting prostate cancer means during Cancer Prevention Month. As we observe Cancer Prevention Month and Black History Month, this quote from Jackie Robinson exemplifies precisely my attitude toward life and prostate cancer. If I can impact the lives of those individuals around me, then I am satisfied. ZERO’s Annual Summit has enhanced my knowledge of prostate cancer by giving me the needed tools to reach individuals in need of that knowledge.” – David Sauls, 13-year prostate cancer survivor. Need a Valentine’s Day gift for the man in your life? 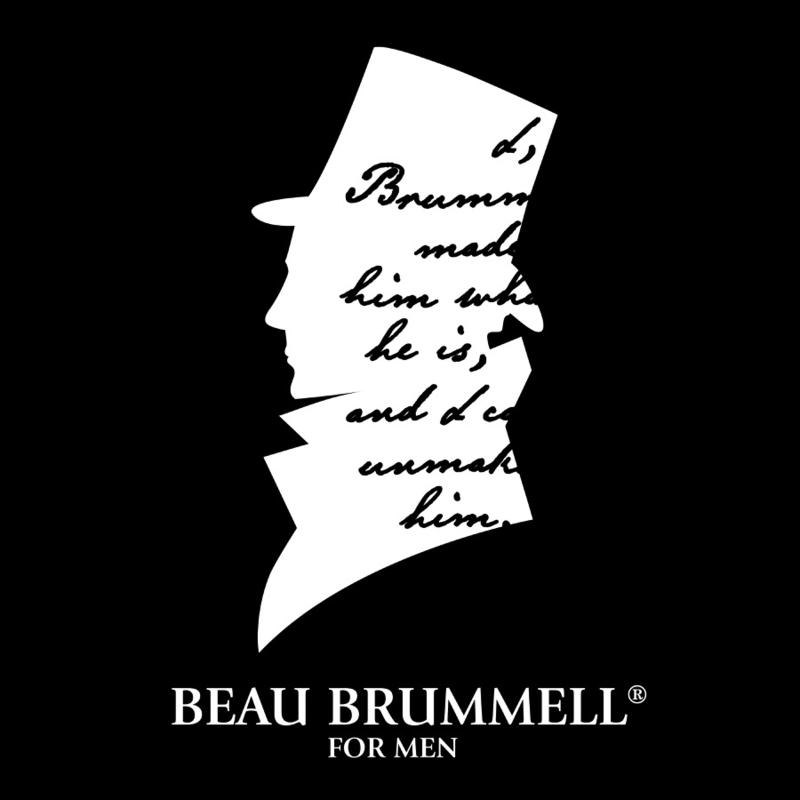 Beau Brummell is one of ZERO’s newest partners, a men’s skincare and grooming company, that is donating 5% of online sales to ZERO! 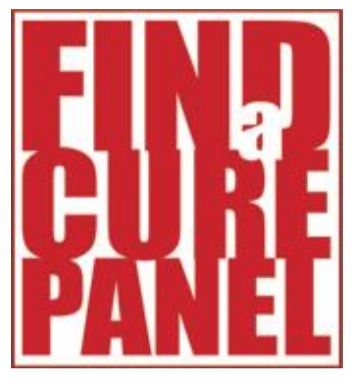 The Find a Cure panel specializes in patient and caregiver research and provides a platform to share opinions and experiences to help impact research into serious diseases, such as prostate cancer. This panel provides a confidential way to share your experience and hear from other patients who have been battling the disease. For every new registration, ZERO will receive $200 for our fight to end prostate cancer. Email info@findacurepanel.com or find more info here.